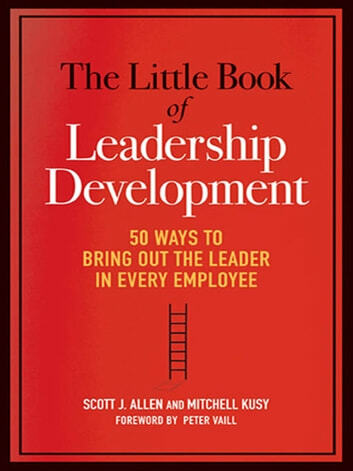 Authors Scott J. Allen and Mitchell Kusy redefine what we think of as traditional leadership in this tangible book that ascribes flexible yet concrete and proven actions to what can be a very abstract term. 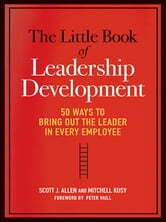 Rather than delving into lengthy exposition and analysis to help you understand what leadership is and how to develop it for yourself, this practical little book enables you to design a straightforward system tailored to your team and organizational needs.Free of complicated theories, The Little Book of Leadership Development focuses on what really works to motivate others, encourage productivity, and equip future leaders. The book delivers streamlined instructions on fifty practical strategies, including modeling behaviors, sharing information, building accountability, stretching teams, and providing feedback. Managers with the ability to self-reflect and a willingness to implement these ideas will see quick improvements--in communication, efficiency, morale, and every other measure. The Little Book of Leadership Development goes straight to the heart of what it takes to be a great leader, so you can spend less time studying skills and more time developing a committed team of emerging leaders. Consulting on the Inside, 2nd ed.